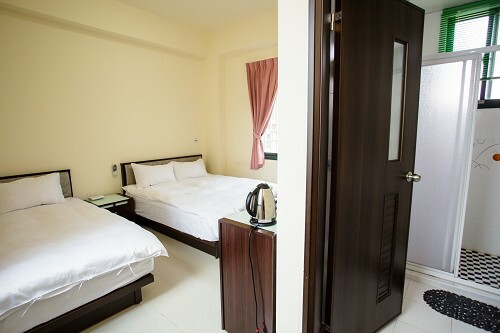 Guanshan Fukuda Homestay is located in the downtown, only 2 blocks from the Guanshan train station, with 7-11 and Family convenience stores around the corner. The common kitchen area on the ground floor is well equipped with a water filter and ample dining area. Our local scenic spot is Guanshan Water Park with a 12kms bike trail surround the town. Free bicycle and Wi-Fi are available. Our location is also the best place to stay in Guanshan for Li Song hot spring. Welcome to Guanshan Fukuda Homestay.